Spot and count over a thousand creepy-crawlies. These picture puzzles have amazingly realistic art and loads of bugs to look for in your garden. Hairy weevils, comet moths, giant millipedes and thorn spiders. Outdoors is crawling with exotic life! 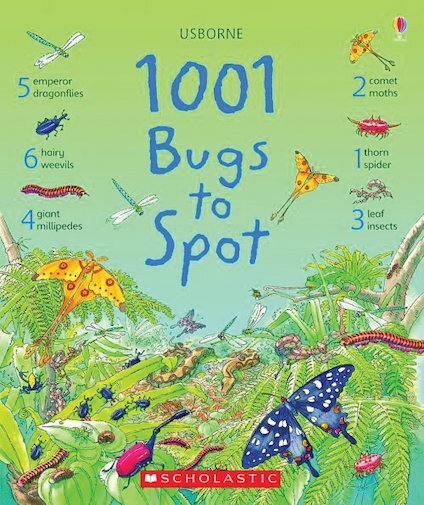 Spot, count and name all sorts of creepy-crawlies in this picture puzzle book. Beetles scurrying across desert dunes, butterflies flitting through jungle trees and caterpillars munching on cabbage leaves. Bugs you know – and plenty that you don’t.